Mladá Boleslav/Tel Aviv, 6 December 2018 – The city of Tel Aviv is one of the world’s most important hotspots for IT start-ups. 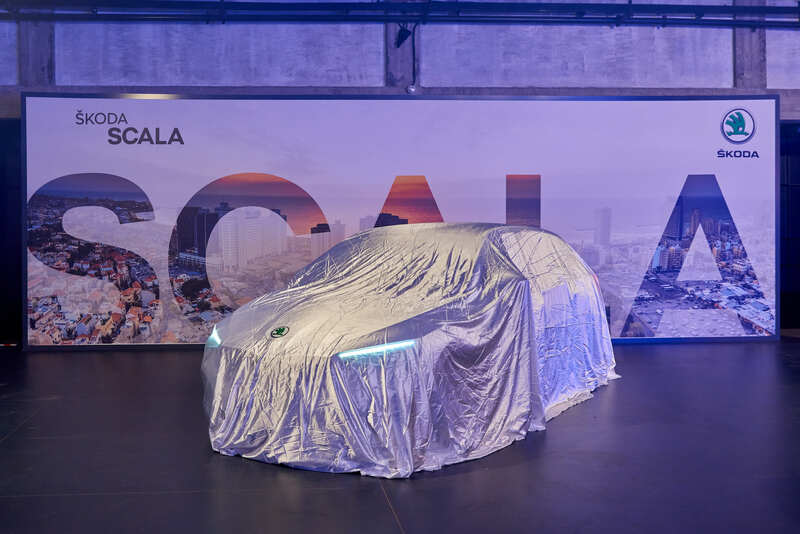 Could there be a more fitting location for the world premiere of the new ŠKODA SCALA? The compact model has taken a huge leap in terms of connectivity with its new mobile online infotainment services. 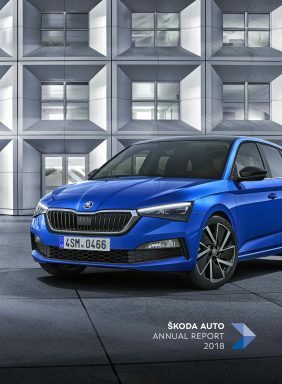 But there are many other good reasons for the Czech automobile manufacturer to be celebrating the world premiere of the new ŠKODA SCALA compact model in the Mediterranean this Thursday. In partnership with importer Champion Motors, the brand is the strongest European car manufacturer in Israel, and the two companies also operate a joint venture in Tel Aviv – the ŠKODA AUTO DigiLab Israel. This is where ŠKODA works alongside innovative start-ups on digitization and mobility services. ŠKODA has a long history of success in Israel: In 1991, ŠKODA exported its first models to Israel – the FAVORIT and FORMAN. To date, the traditional Czech brand has delivered more than 200,000 vehicles in the region, making it the strongest European car manufacturer in the region. Over the last decade, the brand has nearly quadrupled its deliveries to customers, with the market share almost doubling since 2011 from 4.1 percent to 8.0 percent. Around 20,000 vehicles were delivered to Israeli customers via the importer Champion Motors between January and the end of November 2018. The manufacturer occupies fourth position in the Israeli car market. The most popular vehicles in their respective segments in 2017 were the ŠKODA models RAPID and SUPERB. The OCTAVIA also secured a key position of second place in the compact segment. The ŠKODA KODIAQ was also voted Car of the Year in the ‘Large SUV’ category this year in Israel. Israeli customers prefer petrol drivetrains in combination with automatic transmissions. It takes around one month for a vehicle to reach Israel. The vehicles are transported by ship from the Slovenian port of Koper to Ashdod, Israel. The fleet business accounts for around 50 percent of ŠKODA AUTO’s total sales in Israel. In addition to numerous banking companies, wholesalers and telecommunications companies, Israeli ministries and other state authorities rely on ŠKODA vehicles. In 2016, Importer Champion Motors delivered a total of around 850 vehicles to government institutions: more than 700 ŠKODA OCTAVIAs were deployed to various ministries, and more than 100 ŠKODA SUPERBs were commissioned by senior police officers and other ministries. In addition, around 40 more ŠKODA SUPERBs were delivered to ministers, supreme judges and ministerial directors. Moreover, national organizations of well-known global players have a large vehicle fleet of the brand’s models. In the financial sector the three largest Israeli fleet customers ordered 1,200 vehicles from ŠKODA, representing more than 40 percent of the total number of company cars at these three companies. ŠKODA AUTO is also firmly established as a fleet partner in the Israeli high-tech sector. ŠKODA AUTO DigiLab and the Israeli ŠKODA importer Champion Motors founded a joint venture in Tel Aviv in 2017. The partnership aims to continually engage with regional players on the IT scene as well as companies and universities. Israel currently has more than 6,000 start-ups, around 300 R&D facilities of multinational companies and hundreds of high-tech companies. The automotive industry in Israel is a user and key driver of this dynamic development. More than 500 start-ups and research groups in Israel are currently involved in automotive projects – six times as many as in 2013.